This contest is for a Miles Plumlee 2012 Leaf Basketball Auto. Good luck!!! This contest will end Friday, February 16, 2018 @ 8:00 p.m. EST. For the most part, 1991-92 Fleer Basketball isn’t much to talk about. The set consists of (400) cards which were distributed between two different series. It does have it’s share of rookies like Kenny Anderson, Steve Smith, and Dikembe Mutombo. But these cards were so overproduced their value is next to nothing. It doesn’t seem to matter how overproduced a product may have been, there always is some type of scarce version. That holds true for this set. Throughout the 70’s, 80’s, and 90’s, card manufacturers were not afraid to make what they call 3D cards. I’d say about 99.9% of the time this involved using lenticular technology. That’s the stuff that makes the high-pitched sound when you run your fingers over it. The image moves when you move the card up and down or side to side. Sometimes these cards look 3D, especially when its used today. Back then I don’t know if I’d consider it 3D though. They were more motion cards than anything. On the backside of these packs you’ll see a special offer from Fleer. For the price of $4.99, plus shipping and handling, and a couple of pack wrappers, you could get yourself a 3D parallel of any card from the base set. Unlike other 3D cards at the time, these do not use lenticular printing. They’re made up of multiple layers of an acrylic, acetate-like material. Fleer even included a display stand for each card. The images really do jump out at you, and live up to the 3D name. In order to get the full experience, you need to see one in person. Scans aren’t always the best. Like I said before, almost every overproduced set has some sort of scarce parallel. These 3D cards are it for 1991-92 Fleer Basketball. Apparently not a lot of people took part in this wrapper redemption program. Even the collectors who did, found out these cards are very condition sensitive. Cards of Michael Jordan hold the most value. Regular base cards are barely worth a thing, but 3D versions reach into the hundreds. Collectors have spent over a thousand dollars for ones in mint condition. Fleer must have made up 3D versions of every base card. Whether or not each card was requested at least once is a mystery. 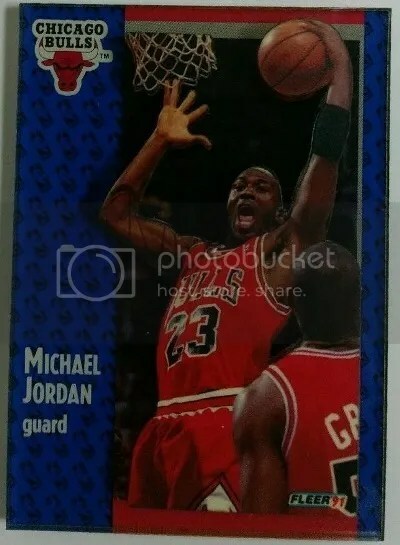 Top players like Michael Jordan, Patrick Ewing, David Robinson, Magic Johnson, Karl Malone, Larry Bird, and John Stockton were popular requests, and have had 3D cards popup for sale. Fleer could have easily destroyed whatever they had leftover once the promotion ended. A 3D parallel may have been made for each base card, but I can guarantee you not every one has surfaced. A print run for the cards that were distributed would massively help. That’s info long lost. Nice thick card stock, but Panini went with a slightly boxy look again. Not all of these cards look like that, but enough do. The on-card autographs like the Marvin Williams I pulled look really good. It has a nice black and white image with a blue ink signature right through the middle. The signed film cards don’t look that bad either. 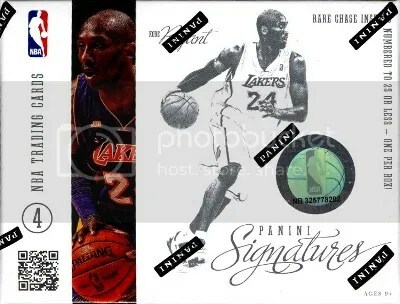 This is the first time Panini has issued film cards for basketball. This product gets to business fast. Every box has one pack containing three autographs. I like how the additional cards are numbered to 25 or less. 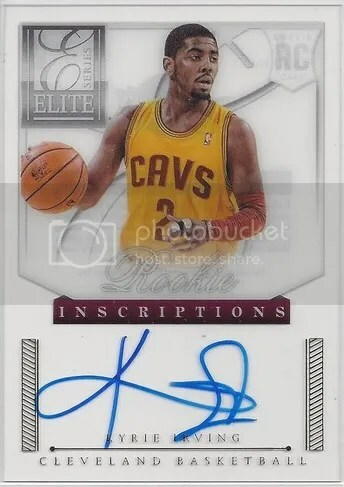 Overall, I give 2012/2013 Panini Signatures 3.5 basketballs out of 5 (1=poor & 5=perfect). Despite some of the boxy look, many of the on-card autographs came out well. Its a quick thrill product that does have some set building qualities that you normally don’t see. Set collectors should have fun tracking down all 10 versions of the Chase Stars Green cards. 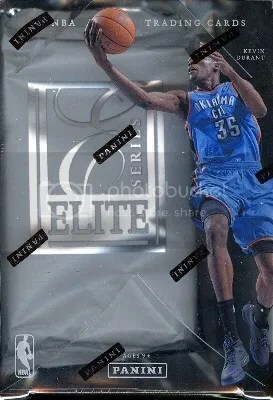 In my opinion, if you have the extra money, go for a box of 2012/2013 Elite Series. 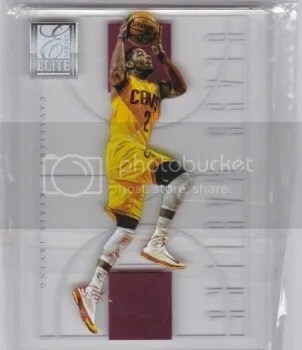 The glass cards Panini made for that product are top notch and are some of the best basketball cards they’ve ever made. Holy @#%$*^! Where did Panini come up with these cards? Of all the basketball products I’ve opened, this is one of the nicest. Panini decided to take Elite in a slightly higher-end direction this time around. The 275-card base set is printed on thick white card stock with a foil border. I’m a big fan of acetate cards, especially when they have on-card autographs. This product is loaded with them. But the real eye catchers are the one per box glass cards. This was Panini’s first attempt at making a glass card, and I think they nailed it. You really need to see one of these cards in person before dismissing them as just a thick clear card. These are layered and have a 3D feel to them. Almost like a Shadow Box card. Collectors seem to be eating them up too. Boxes are currently selling for $180.00. This is not your typical Elite. Boxes contain one pack, having four autographs and one glass card. Overall, I give 2012/2013 Panini Elite Series Basketball 4 Pipino Knights out of 5 (1=poor & 5=perfect). Its one of Panini’s most well designed basketball products. I would like to see them bring their glass cards to football. The only negative thing I can say about it, is that some of my cards had a little dust on them. It easily came off though.